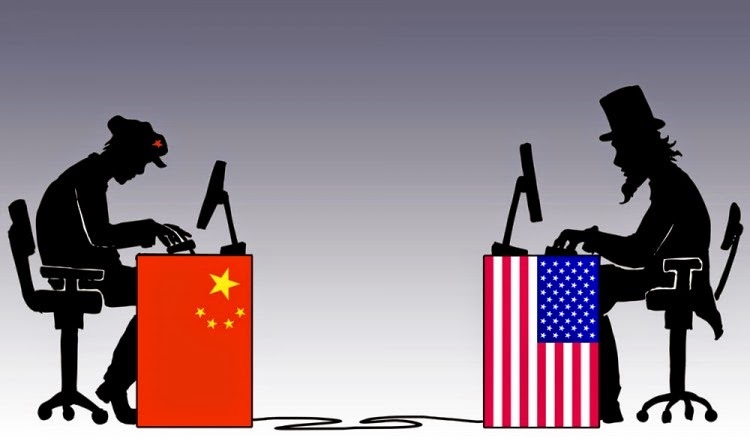 Last week the US and China announced some details of a tentative trade agreement. Many observers are scratching their heads. Commerce Secretary Ross says the goal is to reduce the roughly $360 bln bilateral deficit. There is little in the agreement that will achieve this. The beef and other agricultural goods that the US can begin selling China are not on favored terms, and US producers will be competing, for example, with Brazil. Moreover, the amounts are too small to produce much of the trade imbalance. The US has agreed to be more open to cooked poultry from China, but this too is not on favored terms, and will health concerns may limit US demand. Some observers have played up the agreement on natural gas, but there was not a real agreement. The US welcomed Chinese orders, but there were not concrete numbers associated with it. In fact, we suggest that the most important parts of the agreement are not about trade per se. From the US side, it got long overdue concessions from China on access to the US credit card payments system. China had thrown up numerous obstacles, but now that its own firms are well established, and in some ways, are thought to be ahead of the US-based companies, officials are willing to accept competition. Also, China will allow foreign-owned rating agencies to rate local companies. This too will not do much for the bilateral trade imbalance, but it is an opportunity for US companies. China's concessions are largely about implementing past agreements, for which officials have dragged their feet. If the Trump Administration strategy is to make bold (outlandish?) claims that later are used as negotiating chits, China's modus operandi is to make agreements and then require additional concessions to implement the agreement. The US concessions are not covered in much detail in the US press, but it does seem like China gave up nothing it had not already committed to or tentatively planned on doing at some juncture. To show quick trade results, the Trump Administration may have made some strategic concessions. Reports suggest that the US may reconsider the extent of sophisticated arms sales to Taiwan, and President Trump will reportedly refrain from talking to Taiwanese President Tsai without notifying Beijing first. Also, the US recognized the importance of China's One Belt, One Road initiative and agreed to send delegates to the OBOR forum. The Obama Administration had been cautious about support any Chinese initiative, including the Asian Infrastructure Investment Bank and was cool to the OBOR initiative, which is becoming a signature program for President Xi. Important issues were not tackled in this preliminary agreement, including the recently launched US investigations into steel and aluminum. The larger issue of the how China is going to address the huge excess capacity in numerous industries, which has trade implications is unaddressed. The US may also be delaying efforts that challenge China's claims to parts of the South China Sea. China appears to be making some headway with a few ASEAN countries with which it has a conflicting claim. At best, the agreement buys some time and eases tensions. The Trump Administration appears to recognize the need for Chinese cooperation in addressing North Korea. China's ability to influence the pariah state is an open question, and North Korea's missile test over does not help matters. China may not mind a US irritant, but the US has used it as the reason to put a missile defense system in South Korea, which Beijing realizes, could change the balance of power in Asia. With little concessions, China has avoided being named a currency manipulator by the Trump Administration. Trump has also not levied the large tariff on Chinese goods that he threatened on the campaign trail. Recall that Trump's predecessors, Bush and Obama, also had threatened China with the currency manipulation label during the campaign and drew back from them once in office. The Trump Administration says that the period of strategic patience with North Korea is over. While it sounds important, the meaning is still not clear. More sanctions are likely, but that is more of the same. Many thought Trump was threatening a military option, but this too does not seem particularly likely.